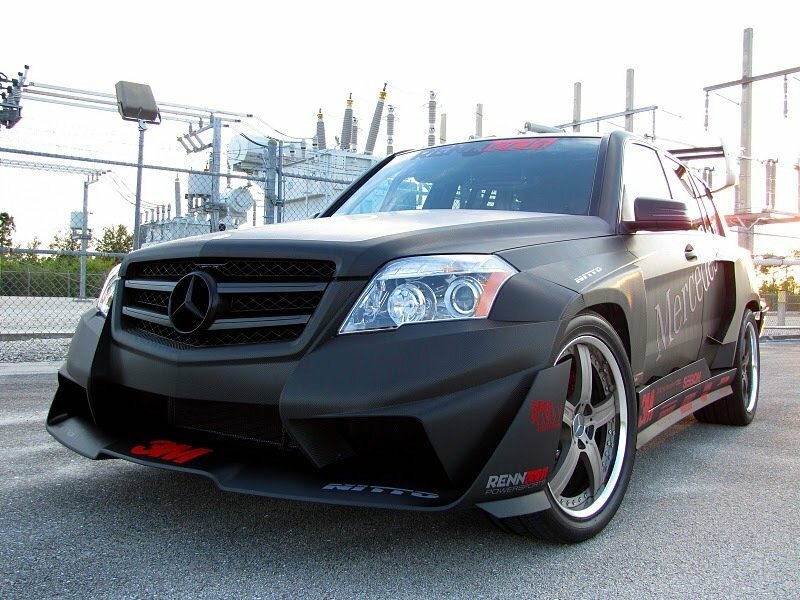 Three years ago at the 2008 SEMA auto show, noted tuning firm RENNtech, together with Mercedes-Benz, unveiled the GLK350 Hybrid Pikes Peak Rally Car where it subsequently won the 2008 SEMA Show tuner build-off competition. The vehicle’s amazing debut at SEMA resulted in it becoming one of the most-sought after performance-modded racers in recent times, appearing in countless automotive trade shows while also partaking in a number of track events and extensive real world driving miles. This year, the car is finally serving its last legs and to give it the fitting swan song it deserves, RENNtech, together with its partners, decided to give it a complete styling overhaul in time for its last tour-of-duty with Mercedes USA here in the US. 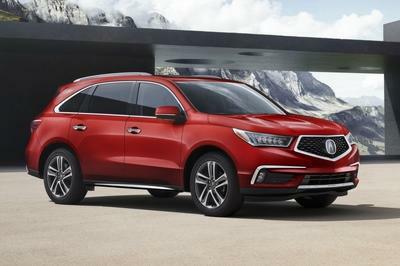 The first leg of the tour was held at the Pittsburgh International Automotive Show a few weeks ago where the revamped GLK350 Hybrid Pikes Peak Project was officially unveiled to the public. From Pittsburgh, the award-winning vehicle will make stops in a number of US cities, including Milwaukee, Cincinnati, Cleveland, Kansas City, Minneapolis, and Denver. As soon as the tour concludes, RENNtech’s masterpiece will officially be enshrined as a permanent collection at the Mercedes-Benz Classic Vehicle Museum in Irvine, California, making it the second RENNtech-tuned work to be officially designated with this honor. In the meantime, keep checking out RENN-tech’s website to find out the tour schedule for GLK350 Hybrid Pikes Peak Rally Car. It might end up in your city so you better be prepared to give it a warm welcome. UPDATE 03/10/2011: Renntech has revealed the first video of their GLK350 project which shows both the exterior and interior of the vehicle. Check it out after the jump! 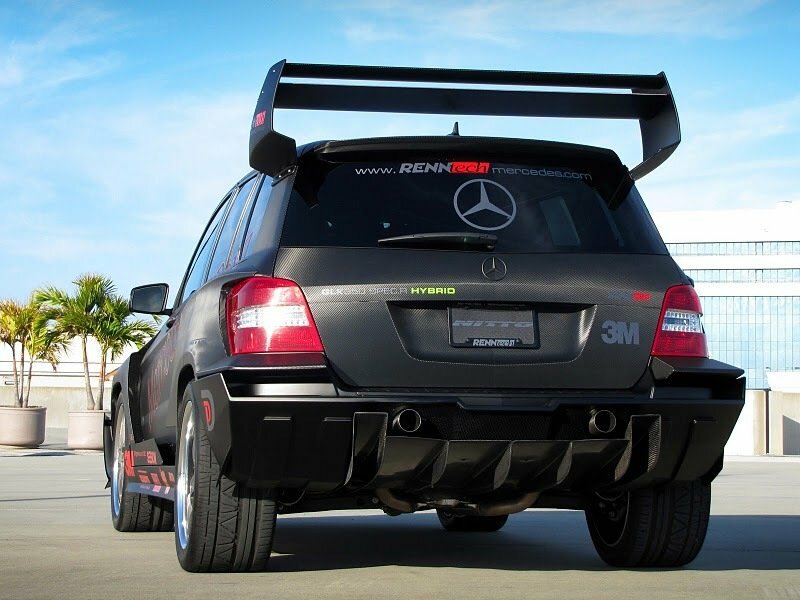 Details on the Mercedes GLK350 Hybrid Pikes Peak Rally Car by Renntech after the jump. 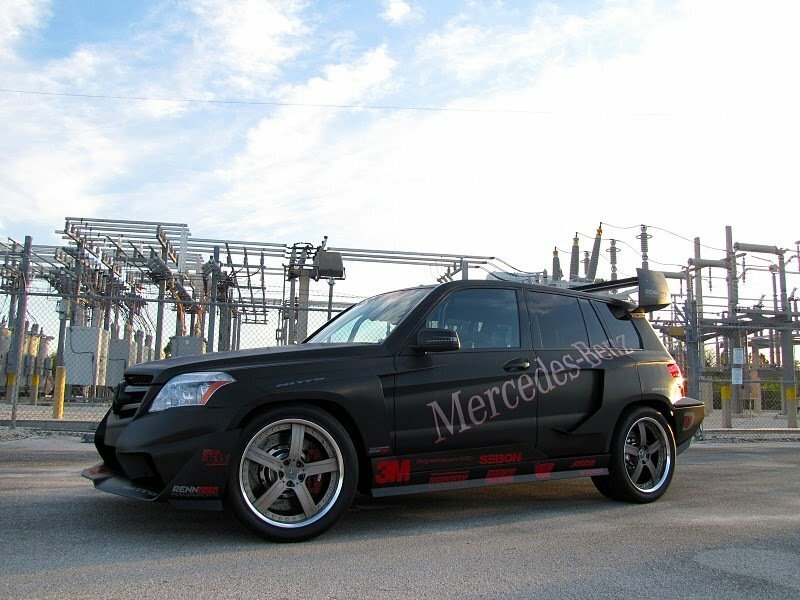 Three years after it first made heads turn at the 2008 SEMA show, the RENNtech-tuned Mercedes GLK350 Hybrid Pikes Peak Rally Car has undergone its fair share of exterior changes and modifications from the concept that was shown at SEMA. 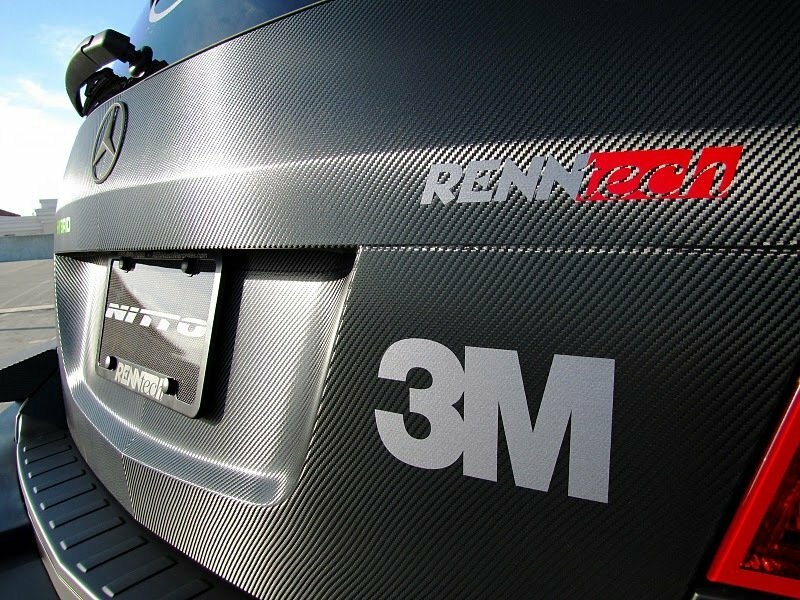 For one, the vehicle’s exterior underwent some serious changes with RENNtech joining forces with 3M Commercial Graphics Division to give the GLK350 an aggressive and eye-catching exterior styling. 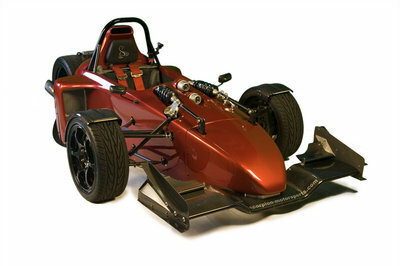 RENNtech was responsible for designing, engineering, and building the car’s original body kit through the use of their latest Computational Fluid Dynamics (CFD) software and rapid prototype capabilities. As for 3M Graphics’ participation, the company restyled the exterior by putting in vinyl materials as its exterior finish. For this particular vehicle, 3M Graphics used their latest product line of 1080 Scotchprint textured automotive vinyl wrap, which is a pre-printed 3.5 mil dual cast film that was applied to almost all of the GLK350’s exterior surface while adding brushed steel (1080-BR201) and black carbon fiber (1080 CF-12) with a subtle red pin striping to complement the vehicle’s aggressive design. Inside the car, RENNtech made sure that it would be ideally set-up for rally conditions so they decided to cut the weight of the standard GLK by removing most of the vehicle’s sound insulation and replacing them with Mercedes’ lightweight carbon fiber bucket seats. On top of that, RENNtech also added a full roll cage inside and moved a lot of the important components to the rear so that the weight distribution in the front and rear would equate to a 50-50 split. As a hybrid vehicle, the GLK350 Pikes Peak version will come with a 3.5-liter V6 Sport engine with a special intake manifold, cams, cylinder heads, and RENNtech’s very own long-tube headers, composite air intake, and ECU software. All told, the GLK350 Pikes Peak produces an output of 350 horsepower, up from the 268 horsepower that the stock version comes in. Best of luck trying to get this car to go home with you. From what we’ve mentioned, the car is headed for the Mercedes-Benz Classic Vehicle Museum in Irvine, California. So to put it as simply as we could: the car isn’t for sale. 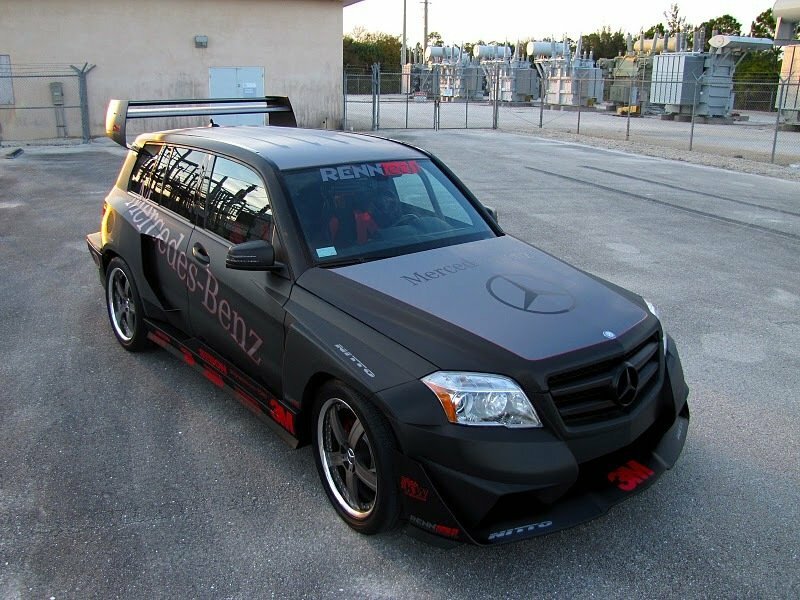 Over the years, the RENNtech Mercedes GLK350 Hybrid participated in a number of track events and exhibition drives, although it spent most of its time juggling its scheduled among the countless auto trade shows it attended, participating in some track events, and undergoing extensive real-world driving. The exterior is absolutely perfect on the driver’s perspective. It is truly an award-winning car. 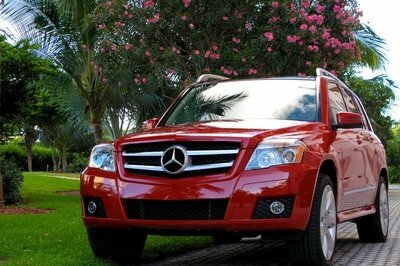 Of course, this is really different because what Mercedes into are sports cars but this one. I doubt. This is merely a crossover. It is a good start that they are now changing phase on production cars. Honestly, this prototype is kind of different from the lineup of the Mercedes. However, I don’t think that the power produce by the hybrid technology is enough to handle this huge wheel! Actually, I have seen this one run during one trial. And it was actually able to handle the corners rather well, though there are still some tweaks that needs to be done. Yup, I would also agree with you on that one. This guy will certainly have a lot of problems when maintaining stability. But I think that they have already sorted that one out. I think SUV is not the good choice to start from. 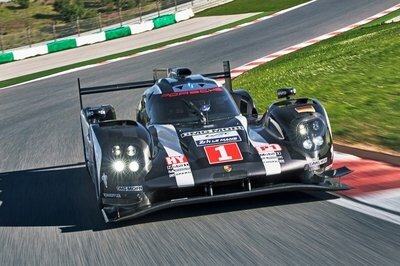 Aerodynamic of this car weighs too much! 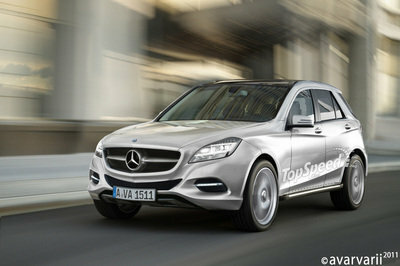 This car is the worst model that I have seen from the production of Mercedes. Wow, it definitely looks better than the first time that they showed pics of it and it seems that it performs much better than I have expected. Wow, this one is actually rather good lucking. I am just hoping that it can stay in one piece when finally thrown into the track, since it will probably take a lot of abuse there. Black is definitely the way to go if you want to make your car look kick without having to do much on it. But of course, Renntech still went beyond that and added quite a lot of great modifications.